The 380 Express bus stops at the bus stop at the main entrance at Kirkwood Community College at the bus shelter just west of the roundabout at the bus stop. Please be aware both the northbound and southbound stops at the same location, sometimes as little as 5 minutes apart, so make sure to ask the driver if you are boarding the bus heading in the correct direction. 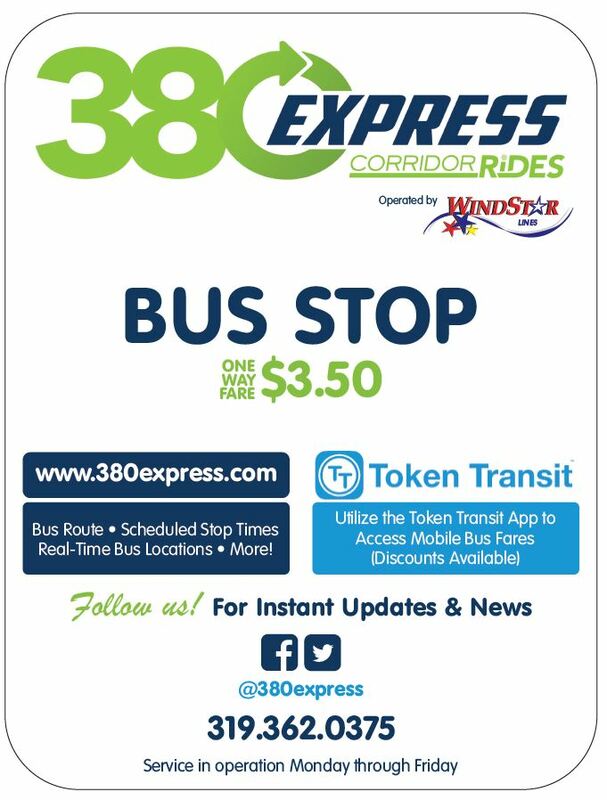 The 380 Express bus stop in Coralville is located at the Coralville Transit Intermodal Facility located at 906 Quarry Rd in Coralville. The stop will utilize Bay #8 of the WCTC which is located at 840 Evashevski Drive Iowa City, IA 52242. The WCTC is located directly north of Kinnick Stadium and is connected to the UIHC by a skywalk. The WCTC is the facility used by as a CAMBUS hub. 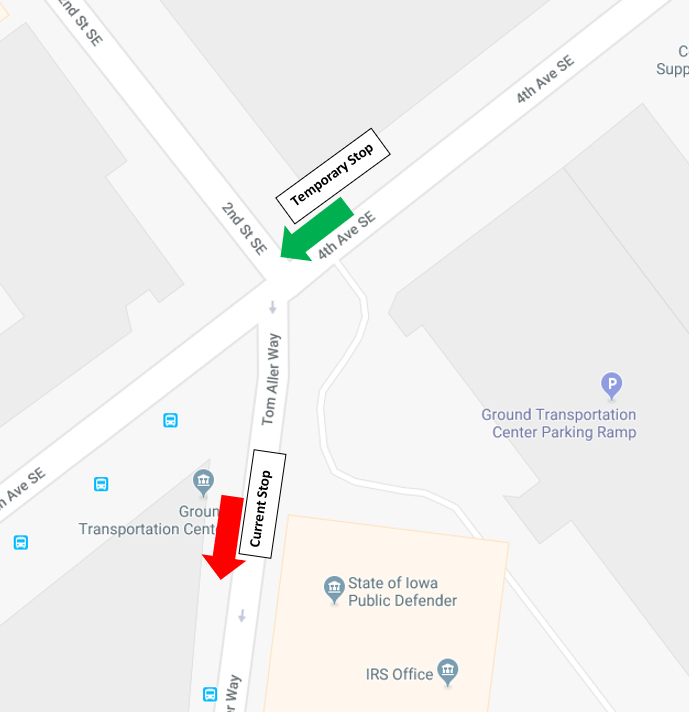 The downtown Iowa City 380 Express Bus Stop is located at the Court Street Transportation Center located at 170 E. Court Street in Iowa City.